Welcome to ''Real Sellers- Real Talks'' interview series where we are revealing the adventures, struggles and tips from Amazon sellers located all across the globe on their journey to success. The goal of this series is to connect you with Amazon sellers around the world, to inspire you and hopefully prevent you from making their mistakes. If you're an Amazon seller and you're interested in being featured, contact us. 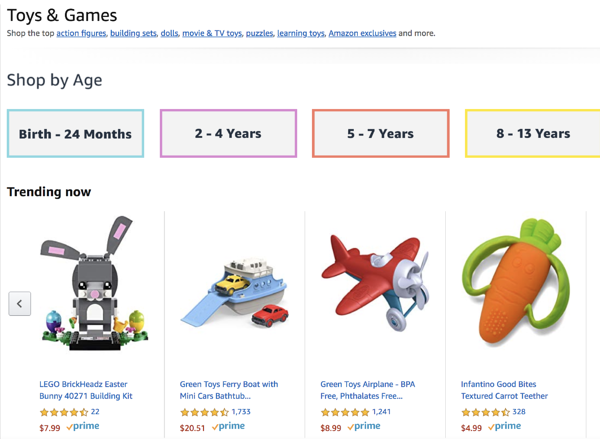 The toy category remains one of the key ones for Amazon, yet selling in this category tends to be shrouded in misconception and mystery. I was excited to chat to our first Toy Seller for our #RealSellersRealStories series who helped us demystify this playful category and share her personal experience in finding her niche in this category. Michele started selling on Amazon four years ago and followed every piece of advice, podcast, course out there. But it wasn’t until she went back to basics, used her rich, traditional retail industry, marketing & PR knowledge and stuck with things that were aligned with her core values and beliefs that her business began to grow. Michele had already built her career in traditional retail and using both her experience and returning to what her core values and beliefs were opened up opportunities to start selling toys on Amazon FBA. Now she shares the lessons she’s learned along the way and tips on how to overcome the increasing challenges of selling in this category for Amazon sellers. If you're interested in launching your product on Amazon, or boosting the rank of your existing product- schedule a free consultation with our Amazon Success Managers today to get started. Tell us a little bit about the start of your journey? How did you start selling toys on Amazon FBA? I had about four shops in traditional retail. I sold those when I started my family because it was just too big and there were too many staff to manage and it was a big headache. Whilst I was bringing up my children, while they were still very young, I decided I would launch my own clothing brand. It was something I’d always wanted to do and that was fine, but I really needed to actually sell the clothes. And so I decided to hop onto Amazon. I very soon realised that this is amazing. There is a whole opportunity out there. You don’t need to rely on your own SEO, or your own e-commerce platform. There are buyers here that are ready to buy your product. But, I also understood very quickly that this was a whole new game I needed to get in and learn, because you don’t just list something on Amazon and then it starts to sell. You really need to know what are you doing to be able to make your product stand out and actually have steady and ongoing sales. Can you tell us more about the major challenges you were facing when you have JUST started selling on Amazon? I'll admit, it’s a bit like a race to the finish line. You’re all hungry for it and you’re empowered with this information and it’s just a race to the finish. You feel like everybody wants to do this. I’ve got to go and find my product. I’ve got to get it out there quickly. I've got to make it work. It can be a really anxious time where you think that you’ve just got to start selling immediately, otherwise you’re going to get left behind. That was quite a tricky year for me. Also, I learned so much and I spent pretty much my first year learning my craft, making mistakes, launching every product that I thought had high search volume and lower margins and everything they teach you. I learnt my craft. I made my mistakes. I made some good friends along the way too. And then I kind of re-evaluated and thought, you know? This isn’t really for me. This isn’t my background. This isn’t what I would class as a business, as something I want to get into and really commit. After about a year, I stopped and I really took stock. I sold out of everything I was trying to sell and I came back to my traditional business route which was in summary: I really want to create a reputable brand. I want to create reputable products and I want to use Amazon as my main sales platform. I want to have a business and I am in it for a long run. And that’s where it all changed for me. As a person, I calmed down. I stopped trying to run with the pack and do everything quickly, and as fast as I could. I followed what’s true to myself and where my core skills lay. I took about eight months out of the game while I strategized. I solidified my brand. I understood what product I wanted to be in my brand. I understood what my vision was and then I started to focus on one brand only in the toy category. And that’s when things started to change. Everything calmed down in my own personal life and the business started to grow and scale organically and strategically. I narrowed my focus and doubled down on ONE thing. It made all the difference. You’ve been selling Toys on Amazon for 4 years? Yes, coming up to four years for Amazon. I think I was selling for about a year doing everything and anything. And then three years of really coming together and growing it stronger and stronger. What were the initial costs and investment needed to start your business? One of the biggest hurdles of selling in the toy category is that everybody thinks that as soon as we enter Q4, the sales are going to come flying in. We’re going to be rich, we’ve just got to get into this Christmas season. But, the one problem and the hurdle people have is the working capital needed to stock during Christmas. You could probably start selling in the toy category on Amazon - with a buffer of at least $30,000 - bearing in mind you would need to do your stock, you would need to do your shipping, you would need to do your promotions. Anything less than that, you could do it but you would be quite thin. But that’s going to get you started. When you start having to put your stocking for Q4 - and this is one of our biggest hurdles or struggles - you can actually 12x your sales for November and December. So, that is an awful lot of stock that you have to order. Not only that, in order to get it in Q4, we are ordering in July or August and we are shipping at the end of August and early September. So, if you have 30 days credit with your supplier, you need to pay those invoices for all of that stock before it’s even landed in FBA and before the Christmas season has started. It comes down to the good old work capital that you need to have. If you are going to cash in on cue and get all of the sales you’re dreaming about, you have to have the money for your stock well in advance because you might be able to negotiate 60 days credit with some suppliers, but anything beyond that is going to be a struggle. That means you are holding onto a lot of stock from September through to Christmas and that comes with a lot of risk as well. So if you suddenly ship in 12x of your product for Christmas and Amazon takes your listing down, or something nasty goes on? It’s a risky business model for many people. 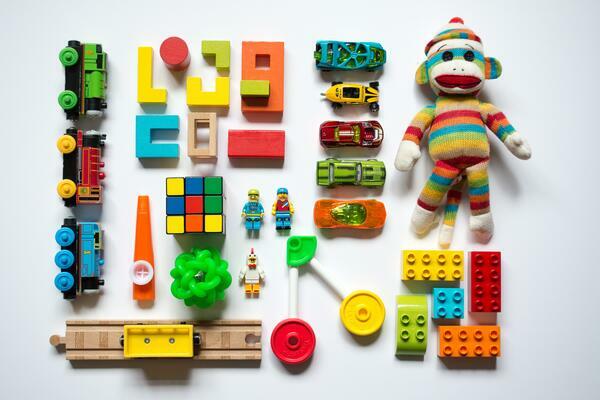 What is the #1 thing you wish you’d known when you started selling in the Toy category? Well, you have to remember- if you sell in Toys & Games category on Amazon, you have to be a responsible seller. You cannot just list a product that's going to go on children's skin, or you know that can cause them harm and just hope for the best. We invest heavily in compliance and we make sure we meet all of the regulatory tests for the EU and for the US market places. And we know Amazon is cracking down on this. So, if you are placing products in the Toys & Games category know that Big Brother is watching you. And it’s not just Amazon. Yes, Amazon might pull you up on policy infringement, or a violation, or an image infringement. But also, we had an example earlier this year where the UK Toy & Hobbies Association. I'd never heard of them before, but they're active in the UK. They scout Amazon and, if needed pull products off Amazon to test them, because they want to make sure that reputable products are being sold on Amazon. So, we had a product pulled because they launched an in-depth investigation. Now, lucky for us, we did invest heavily in compliance. We probably invest anywhere from $5000-30,000 per product making sure it is compliant. Also, we had another example, just coming into Q4 for this year at the port of Felixstowe in UK trading standards, because it's for Toys & Games. They open up boxes, they take toys out and they take them to their labs and they test them. And if they fail those tests, then they directly inform Amazon. Amazon removes all of your stock. And then you have to go through a long and painful process of getting it reinstated. And, that's happened to us as well. Did you use any Amazon product launch or promotion strategy? Over the years, we have built up a very large audience of people who are loyal to our brand. They are Amazon customers, so when we need to do a launch, we don't need to use services like Judolaunch at the moment anymore (as we needed it more when starting from scratch). We can do it using money plant, using our bots and we can get out whatever promotions we want and we're finding that works really well with us. Also, I know you guys at Judolaunch are super strict with that, but for everyone else- always make sure you're doing promotions within TOS. We don't ask for reviews after discount. We don’t put any populations on them. They get a discount code and we vary the discount codes that have been kind of 50 and 99 percent off, targeting our keyword and that's working for us at the moment. Who knows what will happen in the future, but definitely having our own audience and own access to customers is such a safety net. And it puts us, again, in a much more comfortable position should algorithms change and rules change on Amazon. We had a Facebook community group and it was really large - it had something like 130,000 people in it. It was a community group, it wasn't a brand group. I was emailing and people were emailing us. And I was communicating with them individually on Facebook because they wanted products, or they wanted a discount or whatever. So I came home, cleared my deck for the week and dived into ManyChat. I learnt it. I understood it and using ManyChat, I then started to communicate with our Facebook audiences. We do have an email list as well, but we brought them into our own Facebook Messenger list and it’s just grown and grown and grown. And now we’ve got tens of thousands of very loyal customers in there. In comparison to previous years, what were the most recent struggles that Toy Category Sellers have been facing and how do you overcome them? I think in a lot of ways it's got easier because once you've solidified what your brand is and you know your customer and you know your marketing, your head quietens down. So, it's much easier to focus and you can roll out products a lot quicker. However, it has got harder. And really I think the biggest hurdle I can see for us, where we are now, is this compliance issue. We're having listings taken down by Amazon left, right and center until we go through their compliance. They want to see all of our testing, even though we have it. Anyone who sells on Amazon knows, even though you've got the documents to show them, it's a different ballgame when you actually have to get them to read them and approve them and turn around the situation. It's definitely more challenging because it's being regulated much more stringently from Amazon and also from outside regulatory bodies, like the Toys and Hobbies Association, like Trading Standards. That’s one of the biggest challenges of Toys & Games category. Have you witnessed changes in the overall toys marketplace, particularly with more competition when it comes to selling on Amazon? With the Toys R Us gone and a lot of the High Street chains vanishing, more and more brands are looking to sell on Amazon, or they already are in some portion. Also, with the change with Amazon Vendors a lot of big brands now aren't going to have vendors. So they're going to learn Seller Central and maybe they'll become even stronger and better, who knows? So yes, there is more competition and also there are a lot more dirty tactics taking place, people trying to knock each other out obviously at key times of the year. You need to put in place some sort of safeguarding for that. Are there differences in the marketplaces, particularly in the EU and US? At the moment, we’re doing roughly 50% of our turnover in the EU and 50% in the US. They are very different marketplaces. Trends are very different. And also, the UK and the US are well-aligned, but the EU marketplace is very different. For example if you take Christmas holiday - it’s very commercial in the UK AND the US. However, for some of the more Southern European countries, it’s not that big. Yes, they celebrate Christmas and they celebrate it on a different day, but it’s not all about the commercial presents and toys and gifts. You have to be aware of the different seasonal factors in the different marketplaces as well. In the same vein, if you’re selling something on Amazon Spain, or Italy during the summer months, they’re outside on the beaches, swimming pools and the restaurants, not online shopping. Whereas in the UK, it’s probably still cold and rainy, so they’re still shopping. There are definitely cultural and seasonal differences in the marketplaces, but don't forget that all of them have their own opportunities and gives you more space to boost your sales, but you have to be strategic about it. With our audience, we reached out to the UK and the US people only, because we were spreading ourselves too thin at the moment. For the European market we'd need to take into account different languages, cultural trends, use or lack of use of ManyChat, voice recognition etc. and technological differences as well. Also, each marketplace has their own culture. For example for Amazon Germany- you wouldn’t dare to bring a product to the German market, unless it was really good quality, because you are never going to get a good review. On the other hand, you’ll get a bad review really easily. We have structured our team quite differently. We actually have what we call Marketplace Managers. So, we have a Marketplace Manager based in Spain, France and in Germany and they actually have their own Facebook presence and all the customer service done locally. That really helps with communication and it helps them understanding what’s happening in each marketplace, as opposed to us managing it from thousands of miles away and trying to understand it. They’re so much closer to their customer base and what’s going on in their region. So, that helps us as well. Again- not trying to spread ourselves too thinly is our main rule. Without the presence of physical stores, is the intimacy of buying a toy lost? Do brands have the challenge to recreate this intimacy and find new ways to engage with their audience? My daughter is nine years old now and she loves nothing more than taking her pocket money to a toy store somewhere and spending it. She loves that and I’m never going to try and persuade her to go and spend her pocket money on Amazon, because it’s exactly like you say- experience that matters. There's a couple of points here in my opinion. Firstly, we need to remember that we are not pocket money brands. We need to have a selling price that’s obviously over a certain mark. We're not targeting children for their pocket money. That will always be somewhere that their parents take them to experience. That should be treasured and that's absolutely fine. What we have to remember is who our customer is. Our customer isn't even the child. Our customer is the parent who is buying for their child. We tend to market to somebody who we know is short on time, who needs something quickly delivered to their door, because they haven’t got time to go to the shops. They’ve got a birthday party coming up, or Christmas season around the corner. They need something reputable, that's on trend, that will satisfy the need of the child and that's delivered quickly. That's our customer. Our customer isn't the child walking into some shops and choosing their toy. In addition, we invest a lot of resources on social media. We do a lot of work with bloggers. We do a lot of videos on YouTube, so that the children will be hopefully seeing our brand, and getting that emotion they need. They will want to own the toy, because they're seeing these bloggers doing it and these influencers playing with it and they want to be a part of a shared experience. And then, they might ask their mum for it and then a parent looks on Amazon and buys it. So, we try and tackle it two ways: targeting the actual child via social media, and also targeting the person who's buying it (a parent). When is the right time to preparing for the holiday season? I go to China every October, November to find products to launch for Q4, while most people go to China in April . That does not give me enough time. By the time it takes me to find a product, customize the product, research the market, design the product and get my compliance in order, I go over towards the end of the year and I plan to launch that product the following year. Those products selected in October/November might start to drip through in April, May, June. Then it's up to me use those months to optimize the listings - get some reviews behind it, make sure my conversions are healthy and make sure that I’m well-ranked. After all that is done, I can start planning for Christmas and Q4. There's no point in trying to rush it and get something in just for Christmas. That's very short-sighted. If that's your game, if that’s how you work, then that's fine. That’s just not our experience. We start planning a good month before we’re even going to bring that product in for the following Christmas. If you only have one product, that could be done a lot quicker. We probably bring close to 15-20 new skews every year- that’s a lot of moving parts, hence why we do it in advance. If you wanted to test something for Q4, possibly you could start sourcing it April and get it in for Christmas. But, the chances of you having all your compliance in order and having an optimized listing are very slim. You need to have confidence in the order you’re going to place for Q4. If you find a product in April, you’ve got to make a decision by June or July on how many units you’re going to ship for Christmas. If you’ve got no track history on that, in terms of sales or conversions or reviews then that’s a big risk to place a huge order without that background knowledge. What would you do differently if you were starting again from scratch? Where did you waste the most money or energy when you were starting out? It’s like saying what regrets you have in life. Usually, you’ve learned from those, so it’s still not a regret. When I look back at that first year I feel a little bit sick, because I just remember being so anxious all the time and surrounded with all the white noise. Everybody telling me what I needed to do and what I am doing wrong. There were a lot of comparison moments: People are making millions of dollars out there and why aren't I one of them? It was awful but I think it was necessary. If I was to start again, if I was to have a new brand tomorrow, I would try to quiet down all the white noise. I would focus on my core beliefs and my core skills and have my own clear strategy and clear vision before those doubts opened and I started to run the race. It just makes everything a lot calmer and everything moves at a much nicer pace for you. I’d make sure I had my working capital behind me. And I would have a good understanding of what working capital is needed, rather than somebody telling me you can make it on $500, because in most cases that's not true. I’d make sure I have my finances in place to reach my goals. Finally, I would really work out who I want to listen to. Rather than listen to 10 podcasts, find a podcast that you resonate with. Rather than going to every event under the sun, choose one event for the year. And network with the people that you can resonate with, rather than the people who probably have different skills and different ambitions to you. Find somebody that you can relate to and stick with them. On that note, how do you stay ‘’in touch’’ with what is happening in the sellers community and Amazon world? How do you filter out who to listen to? That's probably just experience and finding who you are and being happy with who you are and what you need from other people, I don't need scare tactics. I don't need scarcity promises. I need credible solutions. I love the podcast Seller Sessions with Danny McMillan. He's English and I like him because there's no fluff. The thing with Brits is that we don't do the whole overkill on the selling side. We just get down to what we need to know. I listen to that podcast every morning on a dog walk and that's my daily dose of Amazon news. Another one I listen to as well (and he's American) is Kevin King. He goes so fast and with a lot of hype and marketing behind him, but if you want some hacks or you want some tips, you would go there. My advice is to experiment a bit and find what works for you. Maybe you only need to take one little snippet out of a podcast and that will set you up for the day. I just started unfollowing a lot of the Facebook groups. It seemed like every month, there was a new guru or a new expert and that was adding up to all the white noise syndrome I am desperately trying to avoid. That said, there is a place for these gurus because when you have a problem and you get stuck and you reach out to the communities, they're very helpful. There is a place for them, but you just need to find your balance and what works well for you. It was a pleasure speaking to Michele and sharing her ups and downs when it comes to how to start selling toys on Amazon FBA and how to overcome the obstacles of this category. If you are an Amazon seller and you want to share your own success story, feel free to contact us. 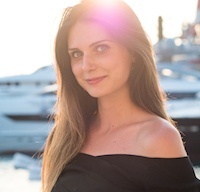 Mia Kovacevic As a part of Remote Judo Team, Mia is traveling to a new country every three months, chasing summer and breathtaking sunsets, while sharing insights from different Amazon markets and stories of inspiring entrepreneurs she meets on the way.